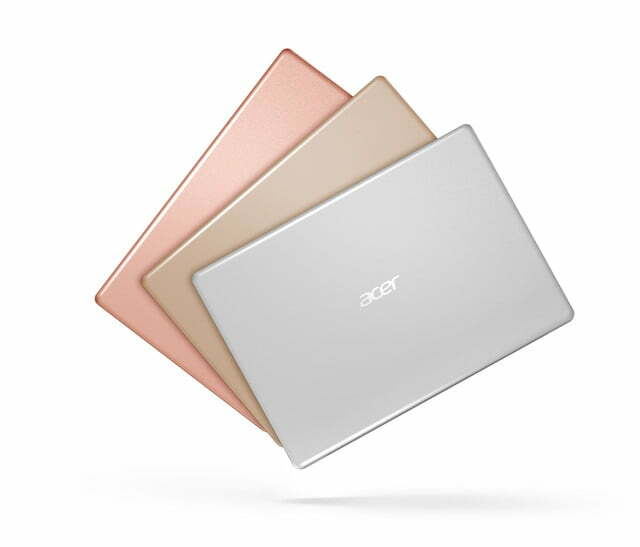 Acer held its 2017 Next@Acer event on Thursday, where it introduced a number of new and updated products coming next to its various product lines. 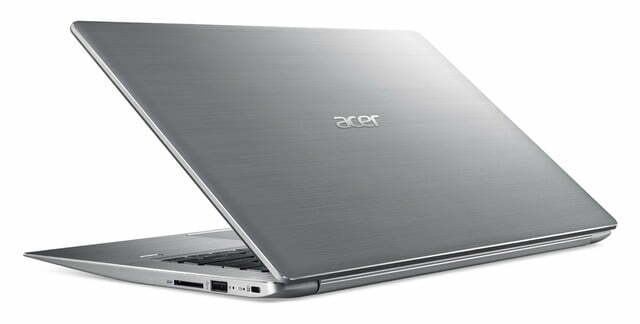 In terms of PCs, Acer was focused on making things thinner without sacrificing performance or capabilities with its new notebooks, 2-in-1s, and all-in-one (AIO) desktops. First up is the Swift 1, which received a refresh that squeezed its dimension from 17.9mm thick to 14.95mm, while utilizing a 13.3-inch FullHD display. The Swift 1 weighs 2.87 pounds, and its all-metal chassis comes in one of three colors — pure silver, luxury gold, and Sakura pink. 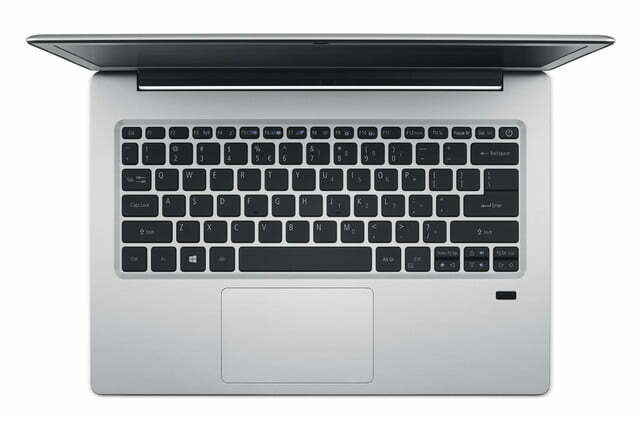 In terms of specifications, the machine can be equipped with an Intel Pentium or Celeron processor, 4GB of RAM, and between 64GB and 256GB of solid-state drive (SSD) or eMMC storage. Battery life is estimated at 10 hours. 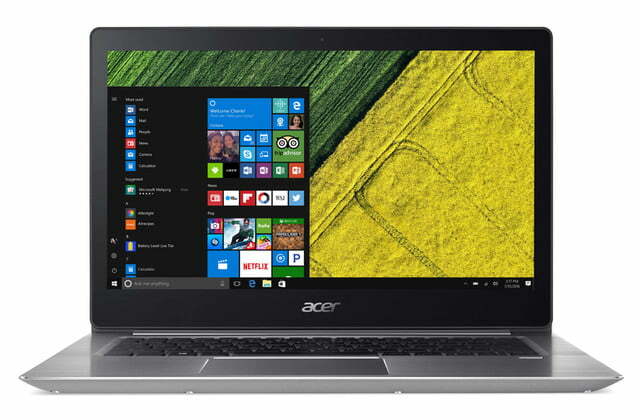 Acer incorporated a fingerprint reader in the Swift 1 that supports Windows 10 Hello, along with a number of technologies including Acer True Harmony audio, Acer Blue Light Shield application to reduce eye fatigue, and Skype for Business certification. The Swift 1 will be available in North America in June starting at $329, in Europe, the Middle East, Africa (EMEA) in June starting at 399 euros, and in China in April starting at 3,499 yen. The Swift 3 line, which comes with a choice between 14-inch and 15.6-inch Full HD IPS displays, has also received a refresh. 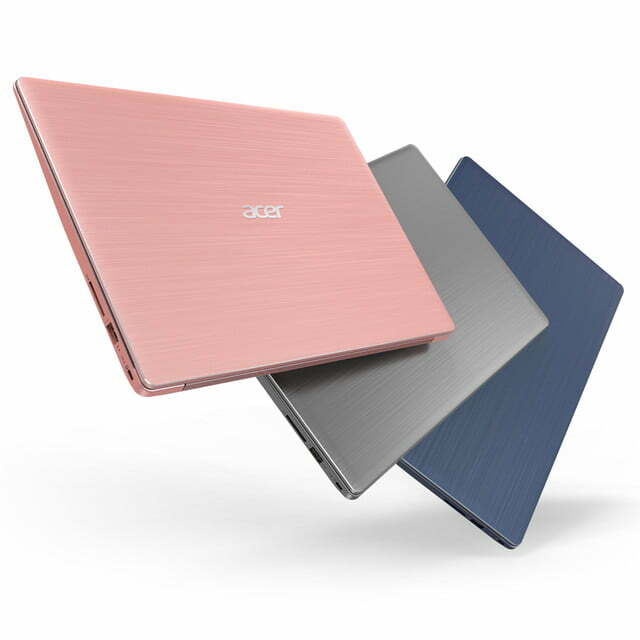 Its aesthetics have been upgraded with a new brushed hairline design in its aluminum chassis with color options including pink, gray, and blue. 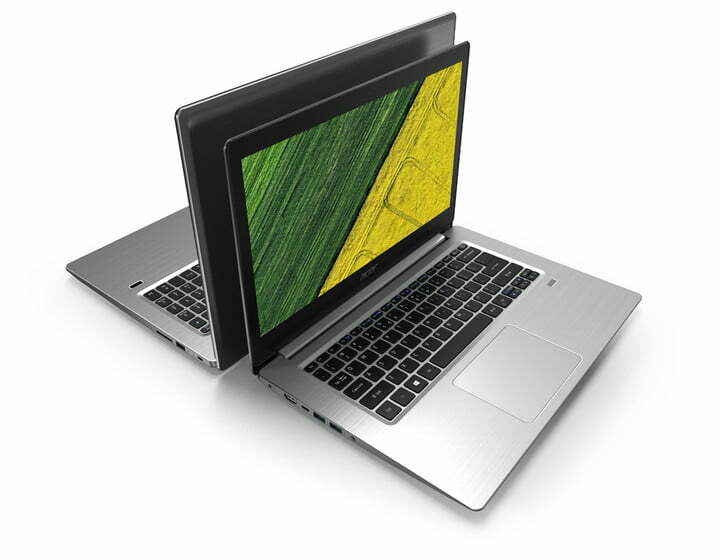 The Swift 3 is powered by seventh-generation Intel Core processors, up to 8GB of RAM, up to 512GB SSD or 1TB hard-disk drive (HDD), and a choice between integrated Intel HD and discrete graphics, along with a fingerprint reader supporting Windows Hello. 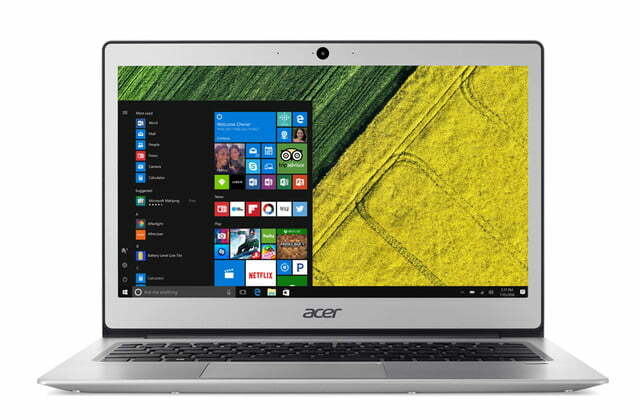 Acer has built in a fingerprint reader supporting Windows Hello, an HD webcam with Super High Dynamic Range support, and a USB Type-C port. Acer will also be offering a special edition Swift 3 that incorporates a top cover with Vibrant Gorilla Glass for photorealistic images, high durability, and damage resistance. The Swift 3 will be available in North America in June starting at $599, in EMEA in June starting at 649 euros, and in China in April starting at 3,999 yen.